By Daniel Greene - Lifestyles Editor · March 29th, 2019 at 8:19 a.m. These five beach destinations have it all: warm climates, delicious food and drinks, and affordable accommodations. Travelling is expensive. It doesn’t matter where you go—a plane ticket and a place to stay is going to cost you, especially if you want to be near a beach. But some destinations are cheaper than others and offer more bang for your buck in terms of sights and local culture. Here is a list of some of the most beautiful beach destinations in the world that offer both picturesque scenery and affordable cost of living. 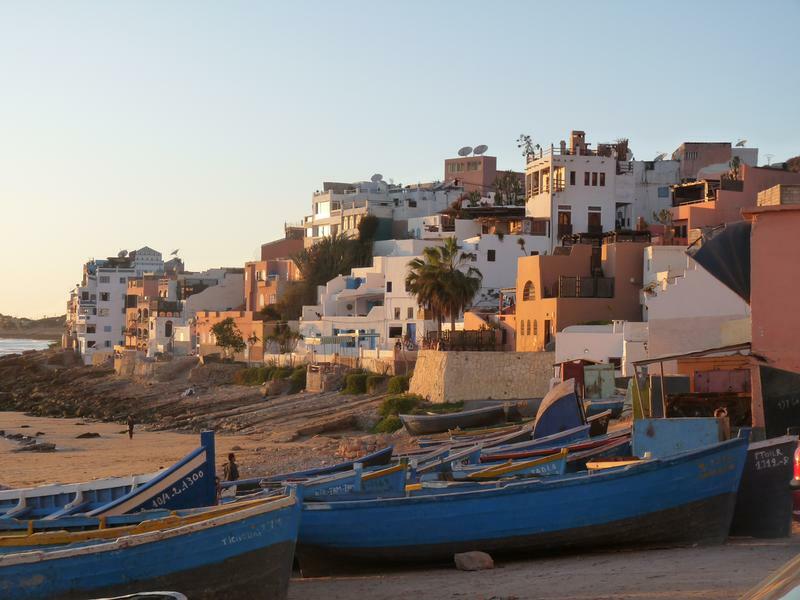 A forty-five minute taxi ride north of Morocco’s Agadir airport will take you to the small surf town of Taghazout on the country’s Atlantic coast. The weather here is generally warm and pleasant all year round, but the driest seasons are spring and fall. The warm water and friendly surf culture makes this the perfect place to learn how to surf. But even for more experienced surfers, Taghazout is an ideal location, the best time for larger swells being between October and March. Private rooms within walking distance of the beach rent for as low as twenty Canadian dollars per month, making this a super affordable place to spend a few days in the sun. Opposite the Greek island of Corfu in the Ionian Sea, Ksamil is a mediterranean paradise complete with white sand beaches and uninhabited islands. 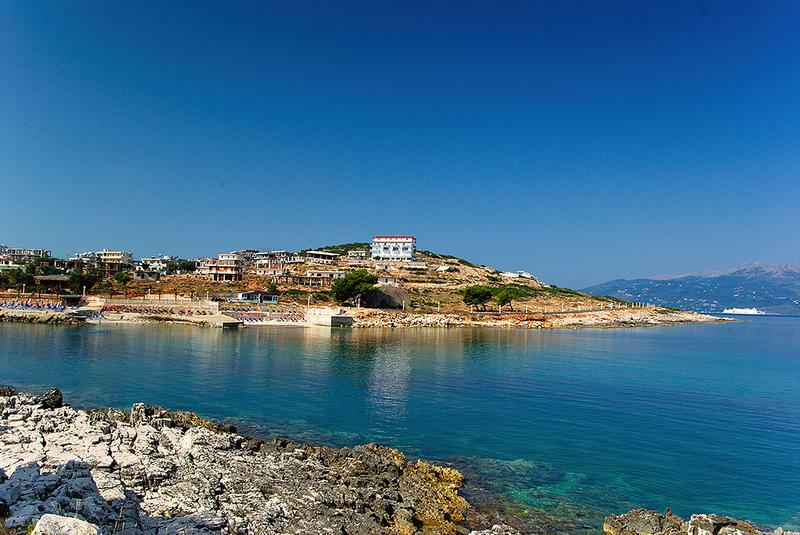 Ksamil has a mediterranean climate, meaning the summers are hot and dry and the winters are wet and mild. Nearby is Butrint, a millennia-old settlement recognized by UNESCO as a World Heritage site once inhabited by the Greeks and then the Romans. The extremely low cost of living in the southern Balkans makes extended stays here possible even on small budgets. Besides the hot weather, beautiful beaches, and delicious food one might expect on the coast of Vietnam, Phan Thiet offers a wide range of geographic and cultural attractions. 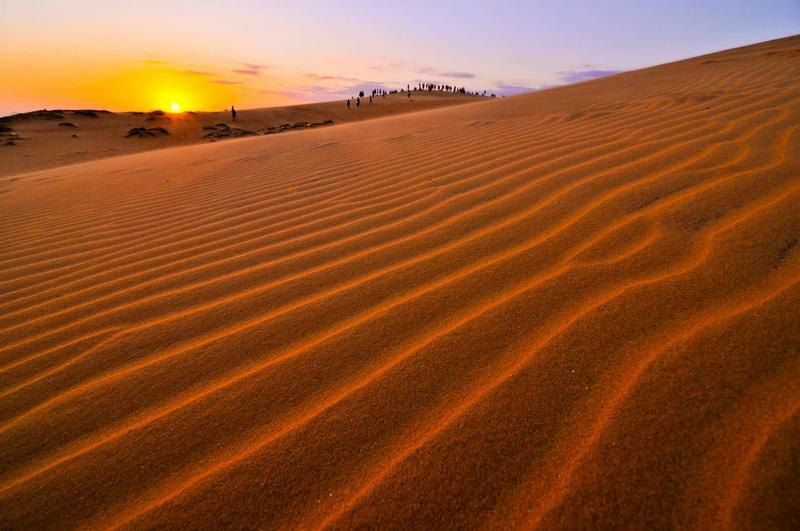 Less than ten kilometres north of the beaches are the red sand dunes of Mui Ne. Here you can rent plastic sleds and ‘ski’ down the hot slopes. And about twenty minutes west of Phan Thiet by car are the Po Shanu Cham Towers, which date back to Vietnam’s 8th century Champa Kingdom. Transportation being cheap and widely accessible, there should be no problem seeing and doing as much as possible here without blowing your budget. While certainly not the cheapest place to hang out in the Balkans, Sveti Stefan is a must see destination in Montenegro, if only for its unique and picturesque semi-island resort. Before the Yugoslav Wars in the 1990s, Sveti Stefan was a world-renowned luxury resort, hosting Hollywood celebrities such as Elizabeth Taylor and Orson Welles. The islet remains incredibly exclusive to this day, and to spend a night there you should expect to pay prices well into the thousands of Euros. The good news, however, is that the rest of Montenegro is extremely cheap; you could spend a month in other towns along the Adriatic Sea for less than the cost of one night here. 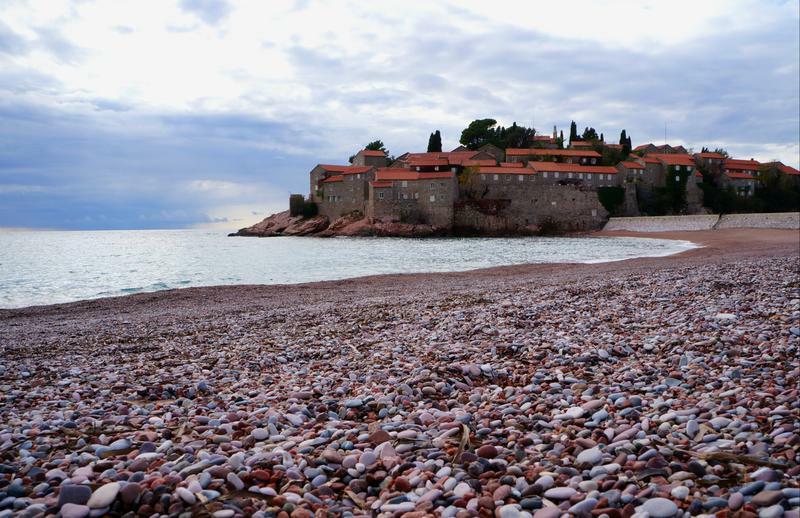 But there’s a certain mystique about Sveti Stefan that makes it irresistibly alluring—and besides, the beach is always free. Besides the Balkans, the Andalusia region of Spain may be one of the cheapest places to travel in Europe. 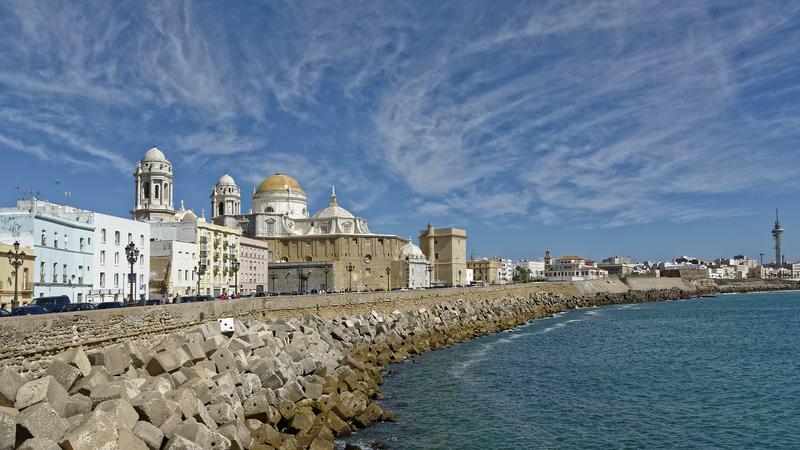 Some will argue that Cádiz is Europe’s oldest city, seeing as it was established by the Phoenicians in 1100 BCE. If you like beaches, this is the place for you. Just look at the city on a map; save for the city centre dotted with markets, castles, parks, and white-washed buildings, just about all of it is beach. So, whether you find a cheap Airbnb on the outskirts or something more central, you’ll always be within walking distance of the wide, breezy beaches along the Bay of Cádiz.